Added No ingredients for Vampire game pack food and drinks . 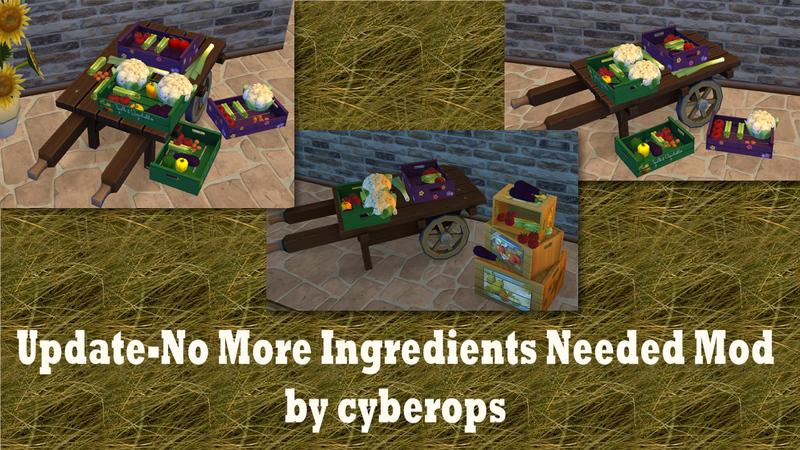 It has added to No_More_Ingredients_Needed_food_recipes simdata files. Please re-download this file. Important: If you play the Retired_Scientist_Mod by coolspear1, don’t download the Serum package because is included in his mod. If he will be back, this thread will be deleted. This mod has been rebuilt from scratch.. This was a mod I been working on 3 days since I had to check 372 files and edit 215 files but the end is… no more need for ingredients for foods, herbal remedies herbs and chemical potions. -No_More_Ingredients_Needed_all_recipes 1.24 – for all cooked baked and grilled, etc foods. -No_More_Ingredients_Needed_Serum_recipes 1.24 - Separate package for Serum recipes required for Chemistry Lab from Get To Work. Important: If you play the Retired_Scientist_Mod by coolspear1, don’t download the Serum package because is included in his mod. It conflict with the mod. This is the reason I created a separate package. 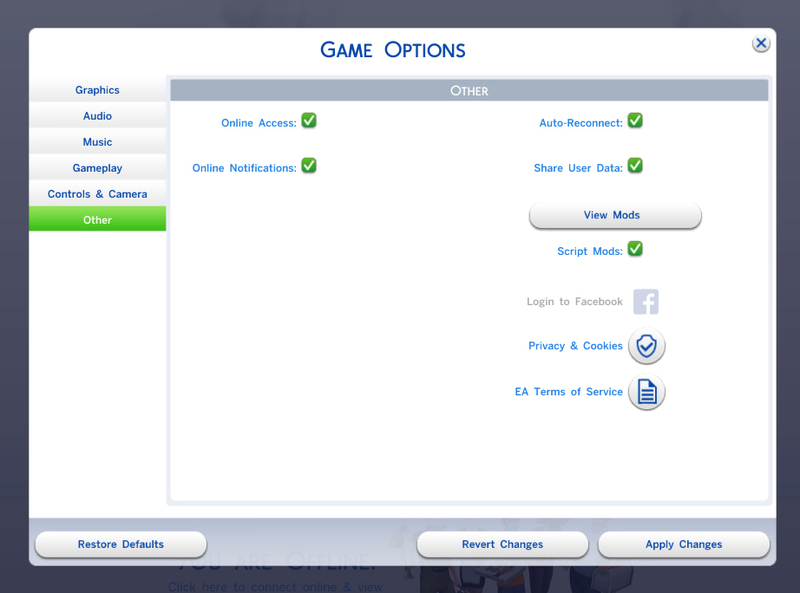 This mode does not in any way affiliated to custom food recipes and does not conflict with any custom food. Just unzip and put the .package file into your Mods folder.